Clark’s Christmas Tree Farm is excited to welcome a new children’s book written by two local authors. Steve and Jean Goodwin, from southeastern, PA wrote Milton The Christmas Moose to help inspire the spirit of Christmas in all of us and to give those children out there who feel unwanted, different or left out a voice. The wonderful book features Milton, a moose who is different from the other moose and who often feels left out or picked on. Even though Milton faces all these difficulties, he is still very caring and accepting and kind. Santa is so impressed by Milton’s spirit of Christmas that he gives him a special Christmas wish and uses him as an example of how everyone should act. Milton the Moose is a holiday tale about compassion, determination and being yourself! Steve Goodwin has his Ph. D in Health Education from Penn State. He has been teaching health education at the University of Delaware for twenty-three years. His work has been published in professional journals and presented at state, regional, national and international conferences. He has been teaching a course called the Act of Happiness for eight years. One of the main aspects of the course is attaining happiness through the development of positive character traits. Jean Goodwin has her B.S. in Elementary and Early Childhood Education from Penn State and an M.S. in Education from St. Francis University. She taught intermediate grades in Pennsylvania, Delaware and Maryland for twenty-one years. Since retiring from teaching, she has run a first and second grader after-school program for the YMCA. Steve and Jean have three grown children and four grandchildren. Ioanna Philippou is a mother and illustrator from Cyprus. She works from her illustration studio, in TOTO, in the island’s capital, Nicosia with her sister and print maker Simone. She graduated with distinction from the University of Delaware with a Bachelor’s Degree in Fine Arts and Visual Communication and has ten years of experience in the field. Some of her clients include: The Wall Street Journal, Lowry Park Zoo, Second Cup, UNAIDS, Costa Coffee, Politis, and Hope For Children. Ioanna is also active in her personal creative development by taking part in numerous solo and group exhibitions across Cyprus, Europe, and the U.S. Find our more about her work and practice at http://www.intotillustration.com. So you went out and found the perfect tree. It’s beautiful and full and fits perfectly in the spot you picked in your house, BUT how do you keep it beautiful until Christmas? When you first bring your tree home, bring it inside, set it up and then leave it alone for a few hours to a whole day so that it can properly acclimate to your house. Remember your tree was once outside, so its used to outdoor temperatures and may need some time to properly “warm up” to your house. The most important item in tree care is WATER. If a tree is not properly watered, the needles can become dry and fall off and your beautiful tree may begin to droop. Filling up and checking your tree regularly can help you avoid water loss and a droopy tree. At Clark’s we have “watering elf” funnels which will make watering your tree not only fun but easy! It’s also a good idea to select a tree stand that has a capacity to hold at least one gallon of water. 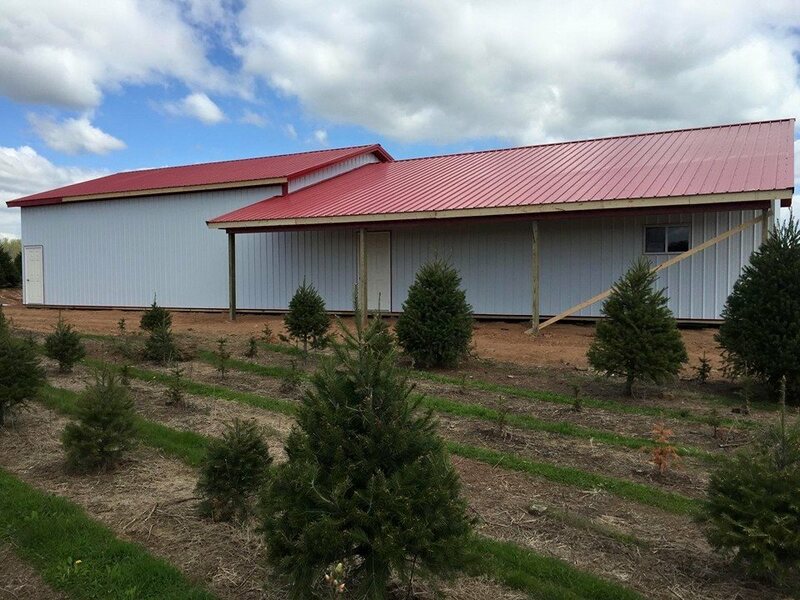 Our “Stand-Straight” stands have large buckets that will hold the perfect amount of water for your tree. Initially your tree will drink A LOT of water, up to a gallon or more of water in the first day or two. After that, expect that the tree will absorb two pints or more per day, depending upon its size and whether or not you have pets drinking from your stand. Setting up your tree as far away as possible from sources of heat, fireplaces, radiators, vents, etc., will hinder the drying process and is also a safety precaution. Additionally, remember to unplug or turn off tree lights before going to bed and whenever the tree is unattended. From our family to yours, we wish you a safe and wonderful holiday season! Fall is full swing and as the air slowly starts to dip into the cooler temperatures, the thoughts of Christmas start to float into the atmosphere. Stores all over the area are already stocked with Christmas goodies and decorations, and crazy enough, some of the Christmas sales have already started. With the thoughts of Christmas and sales, come the age-old debate for a lot of families, real or artificial tree this year? Both options have their appeal. For some, an artificial tree is more cost-effective, but for others that smell of a real Christmas tree and the symbolism it represents just can’t be beat. We are obviously in the pro real tree category, but not just because we grow real trees. The study goes further to point out some other key points about real trees. Real trees support life: Trees absorb carbon dioxide as well as other gases, and emit oxygen. Most fake trees contain polyvinyl chloride which produces carcinogens that can cause liver cancer or developmental problems during manufacturing and disposal. The PVC can also be a potential source of hazardous lead. While real Christmas trees filter smog and dust from the air. Real trees preserve green space: Often times, Christmas trees are grown on soil that can’t support other crops, utilizing space that would otherwise serve no purpose. Learn about the National Christmas Associations Project Evergreen. We hope you’ll join us at Clark’s this year to get a real tree. 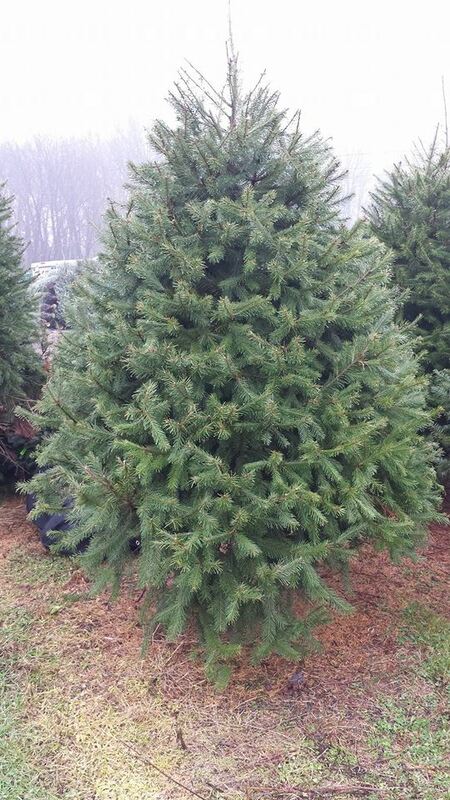 Real Christmas trees help the environment and the economy. All done and ready to get stocked with Christmas goodies. Clarks is excited to announce that we will be opening a brand new CHRISTMAS SHOP in November of 2015! We were busy at the Philadelphia Gift Show in March talking to vendors and gathering ideas for the items we will be offering. Stay tuned to our Facebook page and website for more details and pictures as the project gets underway! New shop will offer ornaments, collectible figures and decorations, wall signs, wreaths, roping, tree skirts, holiday jewelry, hot chocolate, coffee, goodies and much, much more! Click here to see the shop being built. Well it’s September and that means only 3 months until Christmas! Officially only about 2 until the shopping begins. With the fall air and increasingly darker days comes the dawn of another wonder of the holidays, pumpkin. Many believe pumpkin to be a big part of the Halloween and Thanksgiving holidays, but really this fantastic food is a wondrous thing to add to any meal. 10 Fun Facts about Pumpkin! The word “pumpkin” showed up for the first time in the fairy tale Cinderella. The original jack-o’-lanterns were made with turnips and potatoes by the Irish. The world’s largest pumpkin was more than five feet in diameter and weighed over 1,800 pounds. The largest pumpkin pie ever baked weighed 2,020 pounds. Delaware hosts an annual “Punkin Chunkin” championship. 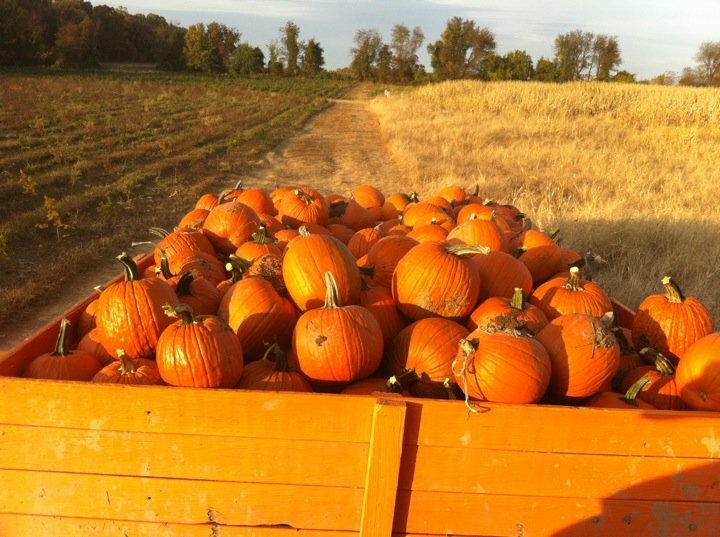 There are over 45 different varieties of pumpkin. If you continue to search the web there are countless articles like the one above proclaiming this wondrous food as one that should be eaten all year. While I like my pumpkin particularly in a spice latte, I can’t help but dream of bigger and more delicious delicacies as the fall continues.